A couple days ago I did a story regarding Sam Raimi officially saying he would not be invloved in the upcoming Jack Ryan sequel. Eventhough he was never officially attached. Regardless of Raimi, the folks over at Paramount have decided to fast track the next sequel despite the fact they do not have a worthy script, director, or actor to play the famous CIA agent Ryan. Paramount has reached out to a long time contributor to the Ryan franchise, Mace Neufield who has produced all of the Jack Ryan films and uber producer Lorenzo di Bonaventura to helm the next film and possible films in the franchise. The duo have been hired to come up with a new original story for the franchise, meaning Paramount has all but abandonded the previous script, "By Any Means Necessary." The winning script will dictate how old and where the next film will take Jack Ryan, but most doors point to a Casino Royale type reboot to the Tom Clancy character. Considering the film is looking for a fresh take on the Jack Ryan character it is very doubtful that Paramount will re-cast any of the previous actors who have played Ryan. Jack Ryan has been successfully played by Alec Baldwin, Harrsion Ford and Ben Affleck. Debate ensues over which was the best, I felt each version was a great characterization of the CIA agent. 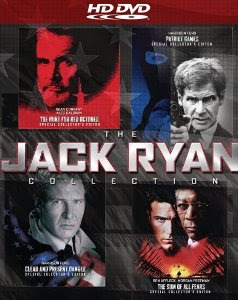 So who does Paramount want for the potential reboot and series of Jack Ryan? 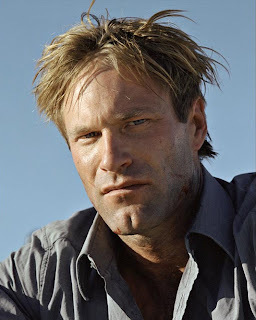 Word is, one of the bigger names being thrown around is Aaron Eckhart! Personally, this is a perfect choice if they can land him. He's not too young like the much rumored Ryan Gosling and not too old like Harrison Ford, who has been rumored to return. Eckhart is an oustanding actor and would appeal to a wide blanket of movie goers.